The Brexit process should be delayed for a year to allow for the creation of a network of UK-wide “citizens assemblies” to help resolve the impasse, former prime minister Gordon Brown has told a public meeting in Edinburgh. The ex-Labour leader said the EU would agree to such an extension to allow the public to be consulted. 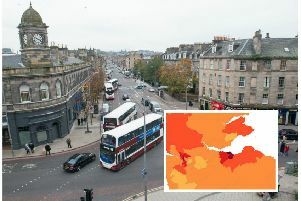 Mr Brown warned of growing public anger at being cut out of major decisions and the turmoil engulfing Westminster during an address at the Church Hill Theatre in Morningside. “Our crisis is now so profound that Parliament cannot solve it on its own,” he said. “I propose we negotiate with Europe to extend Article 50 for one year not as a delaying tactic but for a purpose; that we agree, and the European Union accepts, a unique democratic innovation – the ­convening of nationwide citizens’ assemblies. “Stage three would be a Parliamentary review of the results taking the issues back into parliament after listening to the people, followed by the options of a stage four and five if Parliament agrees the situation has changed, to a renegotiation with the EU, based on these developments.